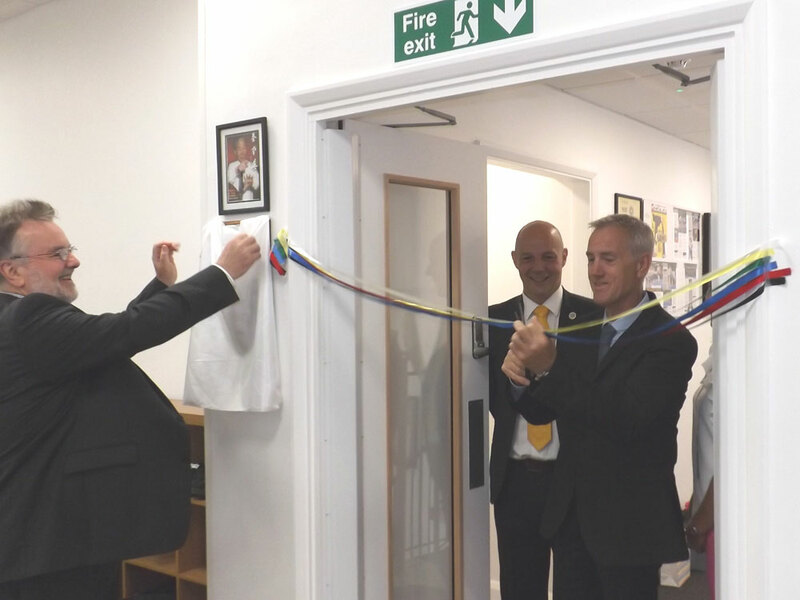 The Vision Martial Arts and Fitness Centre in the Fernbank Centre was official opened today (Saturday 9th September) by the Mayor of Crowborough and Grand Master Willem Bos 9th degree Black Belt. Today is such a precious day, it’s the culmination of 20 years of hard work and what I’ve always want to do is create a legacy here in Crowborough . 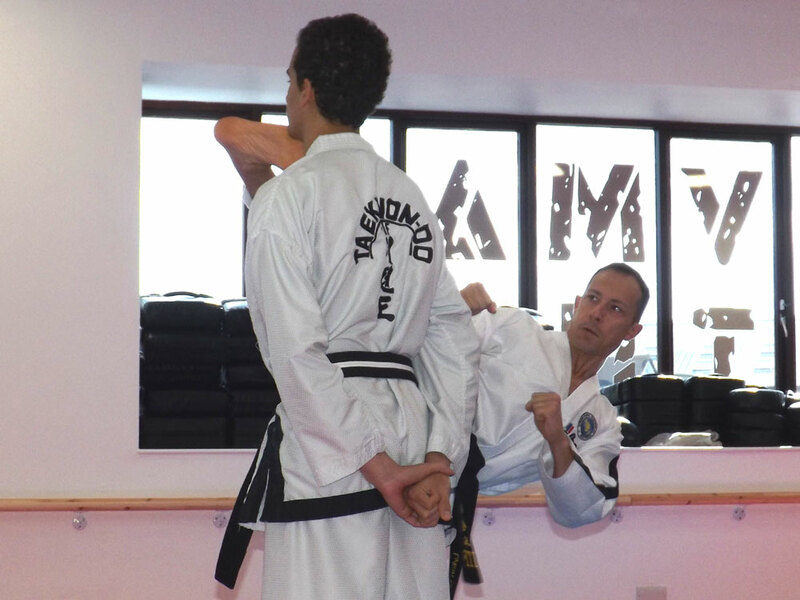 I’ve had the opportunity to teach and train many people from the ages of three up to 63. Part of what we do in our training, is to help children to become better citizens by understanding responsibility, honesty and integrity. The facilities are here to help people have fun and to learn at the same time. 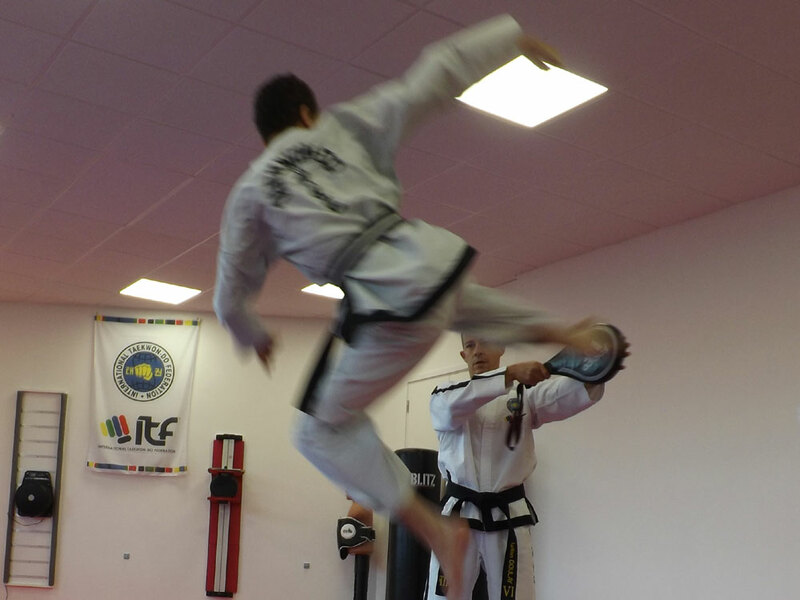 It’s not just only about training the body but also about training the mind. We hope people will want to come here because it is a beautiful facility, because they will feel proud to be a member. As well as supporting children as they grow, we will also help adults with their situations, for example to deal with their stresses at work. We want people to feel it’s like a second home to them. 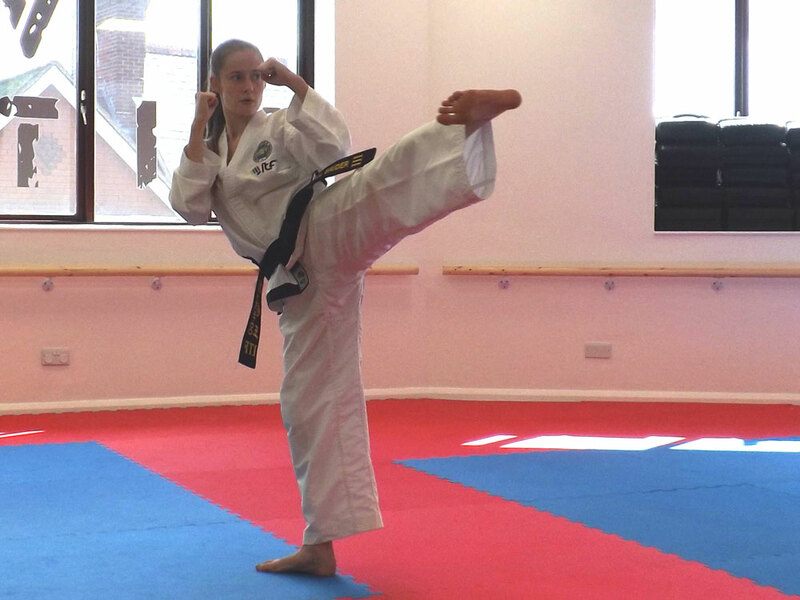 As well speeches and a ribbon cutting ceremony there was also a demonstration of Taekwon-Do and Close Quarter Combat. For details of the courses available see their website: www.vmafitness.co.uk. Ribbon Cutting by Grand Master Willem Bos. Plaque unveiled by Councillor Peter Ellefsen, Mayor of Crowborough. Owner Master Philip Lear looks on. 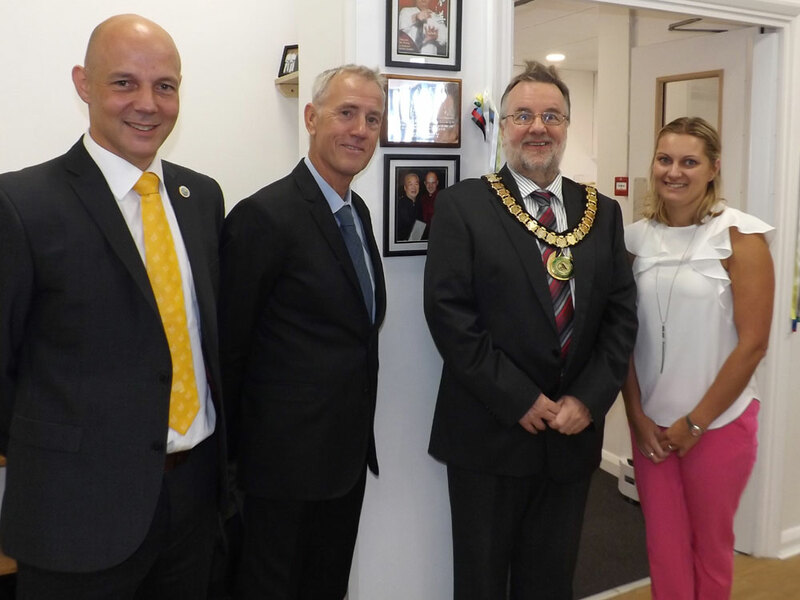 From Left to Right: Master Philip Lear, Grand Master Willem Bos, Mayor Councillor Peter Ellefsen and Ellie Lear. Lylian Doulay, three times World Cup winner.